May was Celiac Awareness Month, but managing this serious autoimmune disorder is a year-round job. If you’re in the foodservice industry, here’s what you need to know about Celiac Disease. According to the Celiac Disease Foundation, celiac disease is a genetic disorder in which the body’s immune response to gluten (a protein found in wheat and many other grains) is to attack the lining of the small intestine (the villi). The attacks damage the villi over time, which affects the body’s ability to absorb nutrients. If left untreated, celiac disease can lead to other autoimmune disorders like Type 1 diabetes and multiple sclerosis as well as serious neurological conditions and even stomach cancer. Short-term symptoms for adults usually include diarrhea, fatigue, and weight loss as well as other forms of gastric distress. Approximately 1 percent of Americans have celiac disease. There is currently no cure or medical treatment for celiac disease. The only way to keep celiac disease at bay is to adhere to a lifelong gluten-free diet. Unlike food allergies or food intolerances, which may wax and wane during a lifetime or have gradations of seriousness, celiac disease requires complete avoidance of even trace amounts of gluten for the rest of the celiac patient’s life. Thanks to heightened awareness of celiac disease, it’s easier than ever for people with this disorder to shop and eat normally. Many foods are naturally gluten-free: especially “whole” foods like meat, fruit, and vegetables. 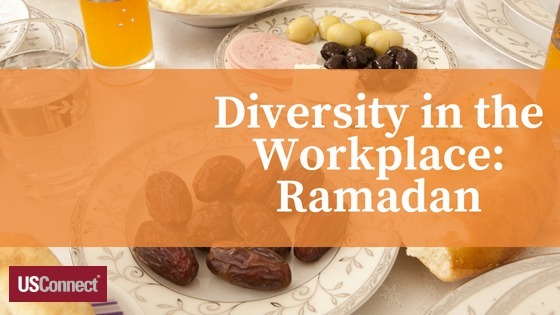 And due to a rise in the perceived effects of gluten intolerance, there are many options for gluten-free bread and crackers as well as other processed food. 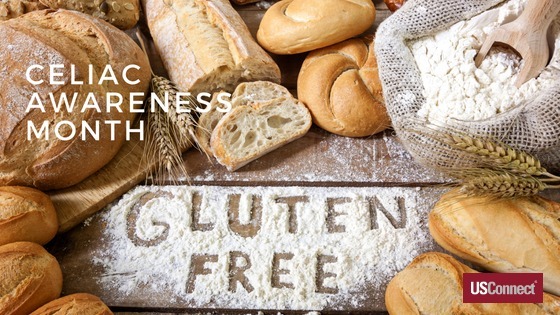 Since only trace amounts of gluten can set off the immune system of someone with celiac disease, it is important that any food that is labeled Gluten Free (GF) is truly free from gluten. The Gluten-Free Certification Organization provides verification through a “stringent review process” that any certified GF product has 10 parts per million or less of gluten. The most important tool for people with celiac disease is knowledge. To best serve team members with celiac disease, it is not necessary to provide only certified GF food items (although it is nice to have a few); what is necessary is to provide easily-accessible nutrition information for all food so that everyone can be sure of what they are eating. 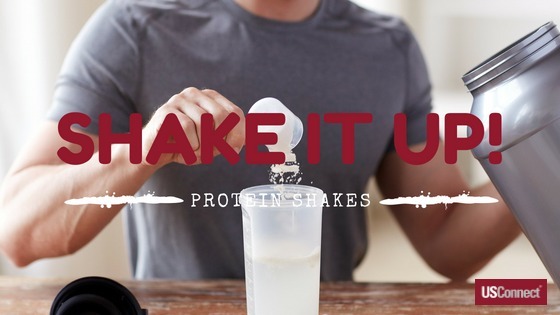 The advertisements and infomercials make it look so obvious; the thing you’ve been missing in your diet is protein, and all you need are these shakes to make everything in life a breeze. Tough day at work? Grab a shake. Going to the gym? Grab a shake. Feeling tired? Grab a shake (of course). The reality, naturally, is a little more nuanced. The claims of shake-makers are predicated on the idea that people do not get enough protein in their diets: an idea that most nutritionists reject. Mayo Clinic researchers note that despite the diet industry’s emphasis on protein, most Americans get at least double the protein they need. 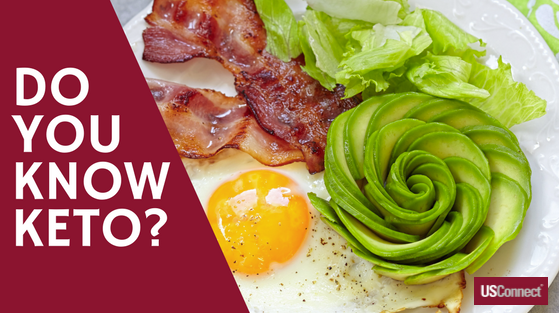 According to the Dietary Guidelines for Americans 2015-2020 from the U.S. Office of Disease Prevention and Health Promotion, most adults should be getting 5½ ounce-equivalents of protein foods per day. The myplate.gov website contains a full table of ounce-equivalents for protein foods, but a basic list includes “1 ounce of meat, poultry or fish, ¼ cup cooked beans, 1 egg, 1 tablespoon of peanut butter, or ½ ounce of nuts or seeds.” As we discuss frequently, USConnect full-service vending and Bistro To Go® micro markets offer many healthy choices for getting protein during the day, including eggs, yogurt, and grains. Whey protein is milk-based, so if you’re vegan or lactose-intolerant, it is not a good choice. However, whey protein is one of the faster-acting proteins. Experts recommend looking for raw or cold-processed to get the most nutrients. Casein protein is slower-acting, so it is better for muscle recovery. Read the ingredient list; avoid artificial sweeteners, hydrogenated oils, and excessive amounts of sugar. Caveat emptor: a study from the Clean Label Project found that many top-selling protein powders contain high levels of heavy metals like lead, cadmium, and arsenic, as well as BPA.